A common finding in our post-occupancy evaluation (POE) work is that building features and systems are not well understood by occupants. This can lead to all sorts of unintended consequences for building users and managers, ranging from discomfort and a poor sense of wellbeing to higher than anticipated running costs. 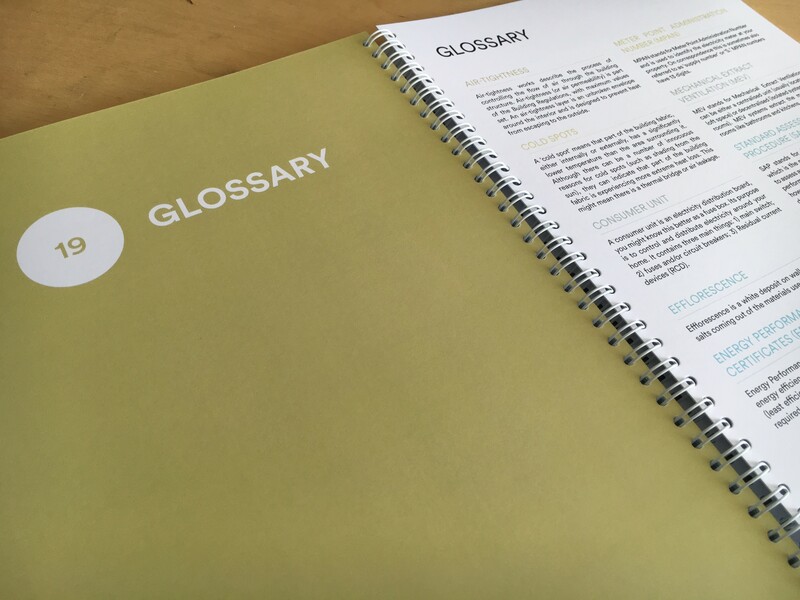 Over the last year we have supported igloo and Blueprint in developing tailored home user guides for their new developments. This aligns with their aspirations to integrate the handover and operational phases of the buildings they develop much earlier into the design process, and there is recognition of the role of handover material in trying to ensure that buildings operate and are used as intended (closing the ‘performance gap’). Green Street 2 and Hobart & Pitcairn (Blueprint) - second and third phases of the successful Green Street housing scheme in the Meadows, Nottingham, with properties designed to the AECB Silver Standard incorporating gas fired central heating and Mechanical Ventilation & Heat Recovery (MVHR). 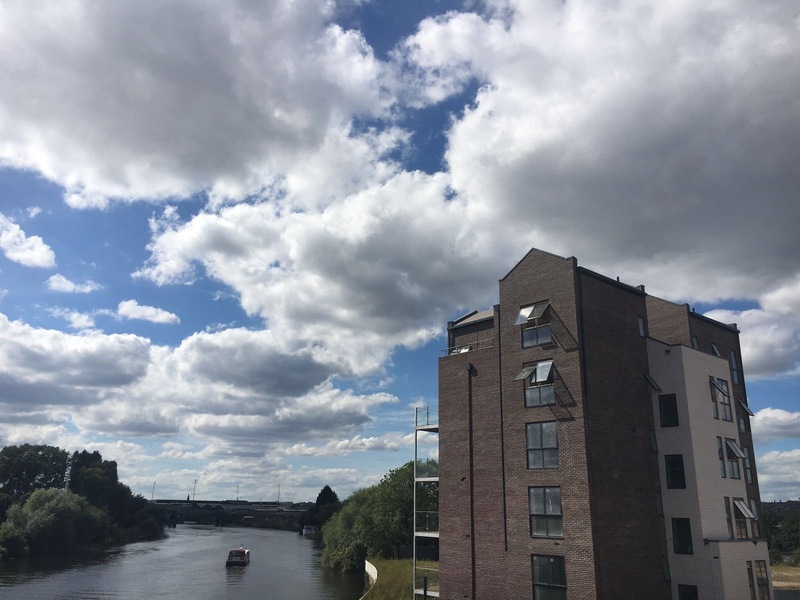 The Malings, Ouseburn (Carillion-igloo) - a housing led scheme on the banks of the River Ouse designed with a fabric first approach, MVHR and micro-allotments. 400 Caledonian Road, Islington (igloo) - a mixed use scheme of new-build apartments, two houses for social rent, two converted apartments and 3 commercial studio spaces. Incorporating a fabric first approach, communal heat and power (CHP) and MVHR. Trent Basin Phase 1, Nottingham (Blueprint) - a residential scheme consisting of houses and apartments, and forming the first phase of the wider Trent Basin masterplan. A fabric first approach with gas fired central heating and Mechanical Extract Ventilation. 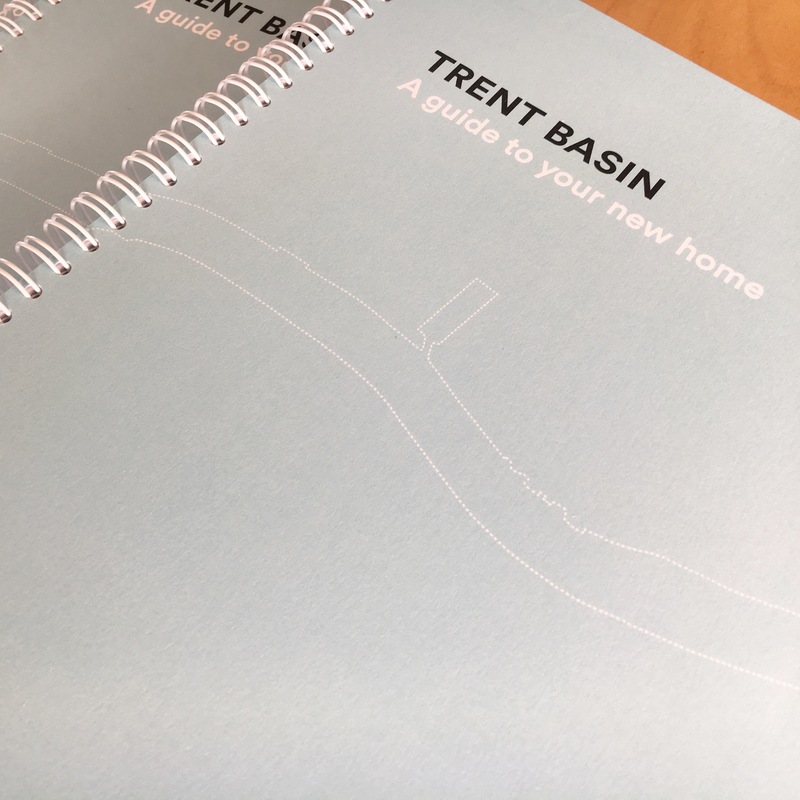 The home user guides for the first phase of housing at Trent Basin are back from the printers and we're really pleased with them! 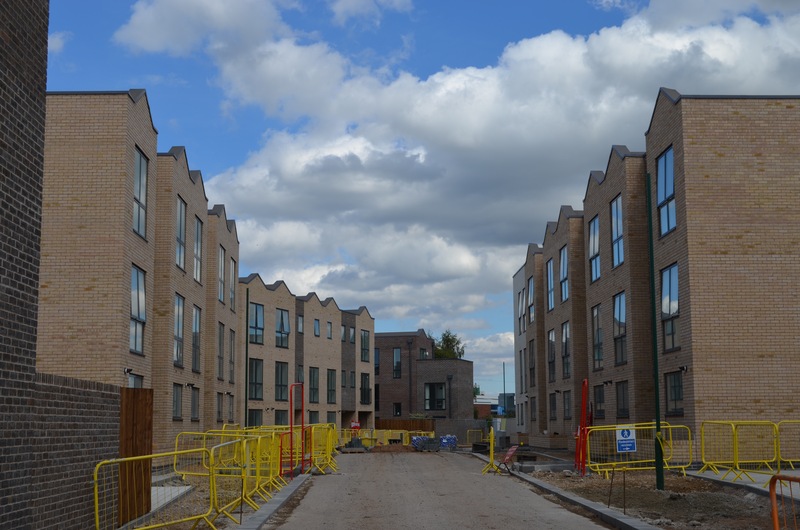 The homes, a mix of houses and apartments, are designed by Nottingham based architect Trent Basin and have been constructed by Willmott Dixon under a design and build contract. They are characterised by a fabric first approach with gas fired central heating and decentralised Mechanical Extract Ventilation. 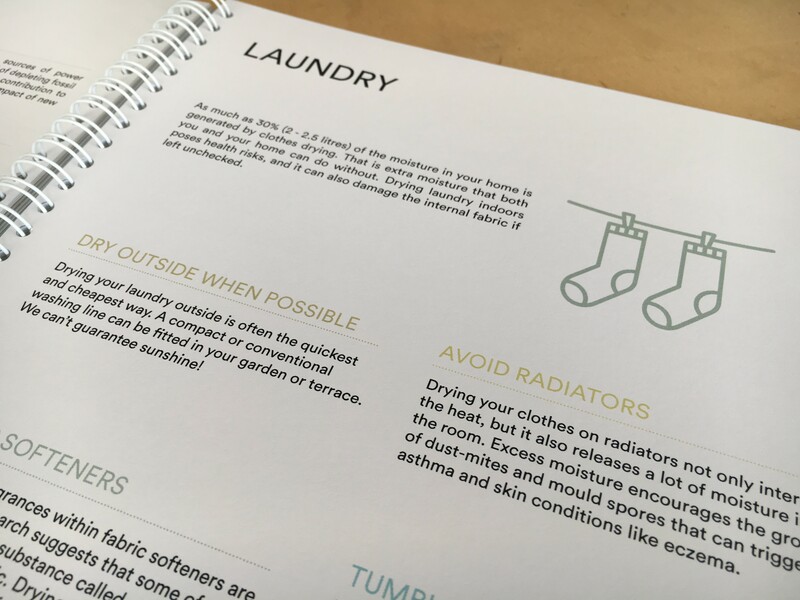 The guides cover much more than just the systems within the home, covering everything from local transport through to amenities, recycling and food growing. 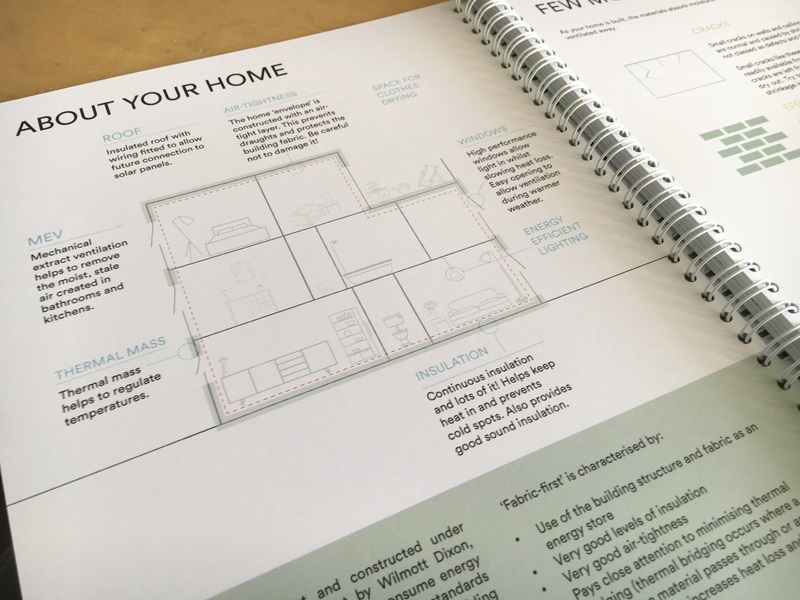 With the first phase of housing in our Trent Basin masterplan nearing completion we visited site recently to have a closer look inside the different house types, helping us to complete the home user guides we're producing. 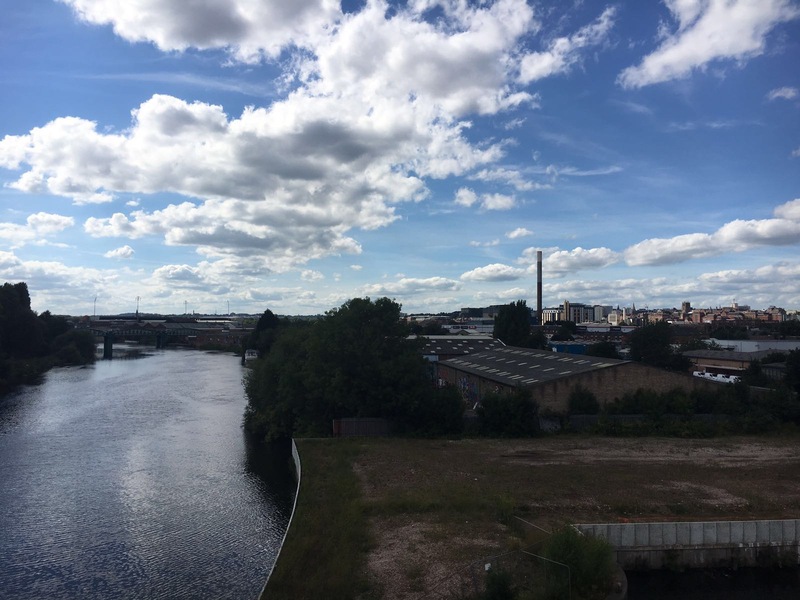 Each unit has great views either of the windmill to the north, across the city to the west and over the River Trent to the south. The views from the apartments in particular are impressive, and it's from here that you get a real sense of the new streets being formed. Visiting each of the house types allowed us to double check important details, such as the location of consumer units and heating thermostats. This enables us to provide accurate and concise information to homeowners as they move in and familiarise themselves with their new home. 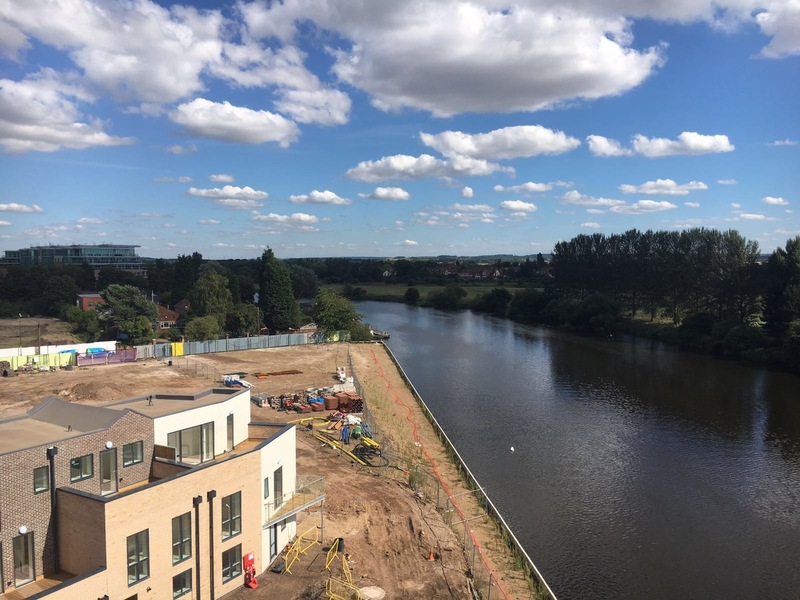 We're currently working on home user guides for the first phase of housing to be delivered at Trent Basin, a riverside development close to the city centre. 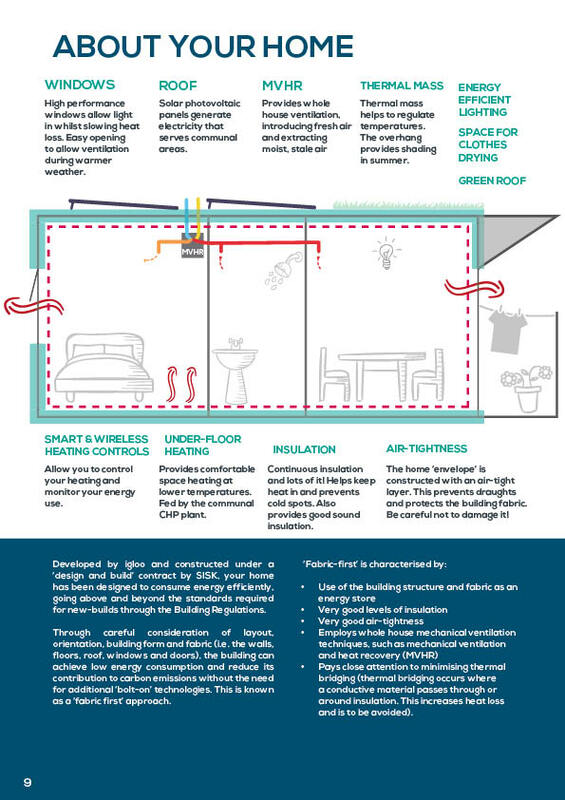 These homes follow Blueprint's preference for 'fabric first' coupled with gas central heating. In a departure from previous schemes at Green Street and Pitcairn & Hobart (which employed mechanical ventilation and heat recovery), these homes will be naturally ventilated with decentralised mechanical extract. 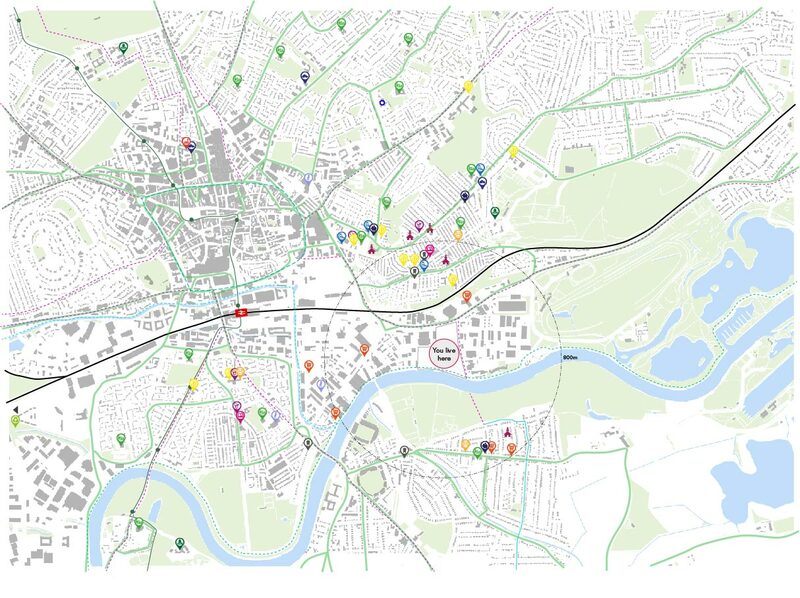 We've been involved with igloo's project at 400 Caledonian Road since the beginning, assessing the scheme against igloo's footprint policy and more recently developing home user guides for the new residents. This time lapse video shows the site as it was, and now at completion. This was a challenging site consisting of delapidated buildings to the rear and a Victorian house in need of renovation fronting Caledonian Road. Added to this the team were dealing with the constraints associated with building over the channel tunnel and next to the overground line.